The real estate industry is crowded, and with recent technological advances it’s never been easier to buy or sell a home. So, how does an independent, local real estate brokerage ensure buyers and sellers understand the value of working with an agent? And, how does this brokerage differentiate itself from competitors — both corporate and independent? The answer: Marketing. Halter Associates Realty is today the largest independent agency in Woodstock, NY, and the fastest growing real estate firm in the Hudson Valley. Having worked with Echo Sixty6 for three years, Lisa Halter, Owner and Principal Broker, reached out to the agency in 2018 to help redefine her brand and business by identifying her value proposition, developing a brand identity and communications strategy, and implementing, analyzing and optimizing marketing and advertising initiatives that best represent the organization while differentiating it from the competition. Headquartered in Woodstock, NY, and Kingston, NY, Halter Associates is a local, independent, woman-owned real estate firm that specializes in buying, selling and investing in mid-tier to luxury homes, weekend getaways, commercial properties and land in the Hudson Valley and Catskill Mountain regions. Brand identity, with taglines; communications, marketing and social media strategies; editorial calendar and custom content development; website visual refresh (existing website overlay), with copywriting, coding and photo procurement; social media marketing and advertising; social media management; graphic design; and agency and agent sales and marketing materials (e.g., look books). Content is king, and with Halter Associates Realty the role of Echo Sixty6 was and is to create custom content that can be leveraged across all platforms, online and off, with the purpose of building brand awareness; expanding reach; and increasing engagement, leads, listings and sales. In coordination with the agency’s Owner and Principal Broker Lisa Halter and her team of top-producing agents, Echo Sixty6 developed communications, marketing and social media strategies, an editorial calendar, all of the content, and a number of appropriate, interchangeable taglines. Experience The Halter Difference was suggested by one of Lisa’s agents. Understanding how Halter Associates Realty combines advanced marketing capabilities, unrivaled real estate expertise and hyperlocal market knowledge to buy and sell faster and smarter, Echo Sixty6 originated the related catchphrases Make The Right Move, The Shortest Distance between Listed and SOLD!, and The Shortest Distance between Search and SOLD!, producing marketing and communications campaigns based on the concepts of “moving” quickly and expertly. As part of an overall content strategy, the brand taglines and marketing materials are used strategically and tactically to help differentiate Halter Associates Realty from its competition, while continuing to engage a diverse audience of property buyers and sellers, agents, industry executives, real estate enthusiasts and Hudson Valley locals and visitors. From an award-winning social media campaign to ongoing marketing and communications that support the brand and mission of Halter Associates Realty, Echo Sixty6 has created a variety of content featured on the real estate firm’s website and blog; Facebook, Instagram and Twitter accounts; and print and email communications. 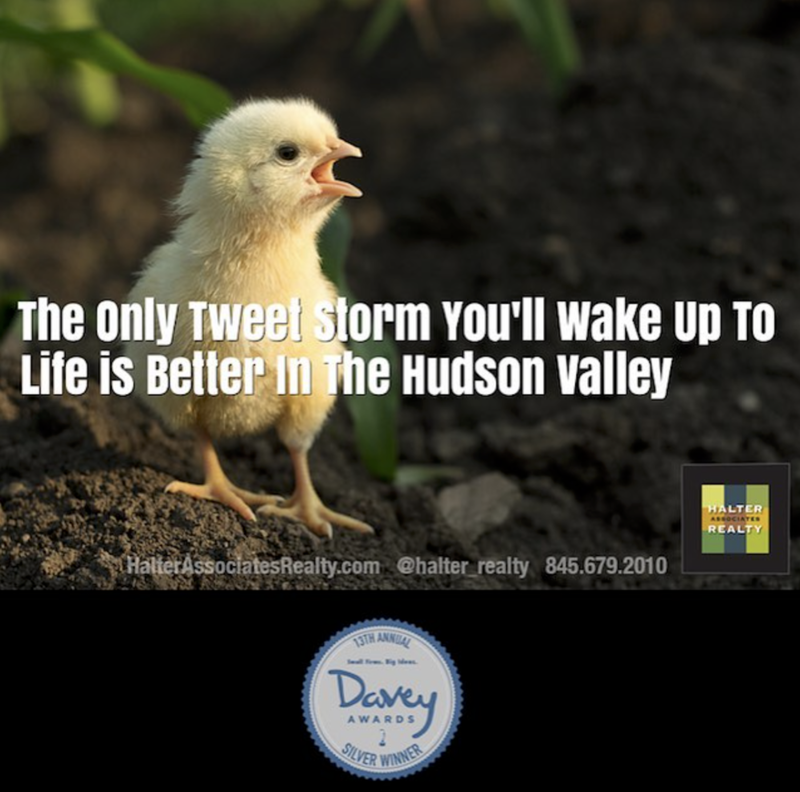 With the unconventional, often offensive Jerry Springer-style 2016 U.S. presidential election behind us, Halter Associates Realty retained Echo Sixty6 to create a social media ‘meme’ campaign that embraced the welcoming, diverse and loving communities that make up the Hudson Valley. It’s well known that you need more than ‘house of the week’ posts these days to attract people to your real estate website, and Echo Sixty6 specializes in producing brand-oriented ‘editorial’ custom content that increases social media engagement and, more significantly, delivers exponential increases in unique website visits. 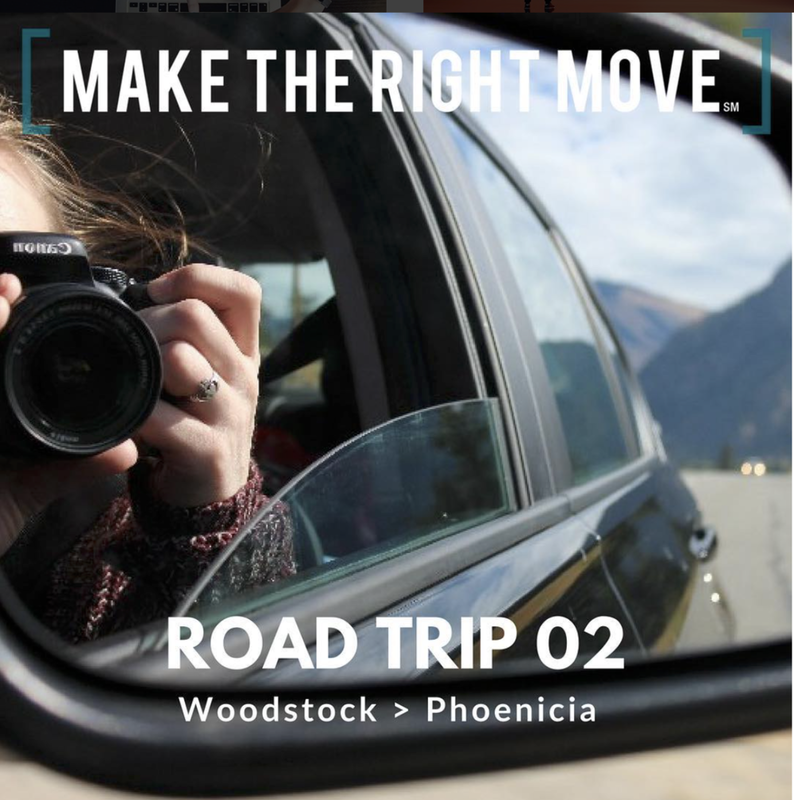 Popular with locals and visitors alike, our On The Road series with Halter Associates Realty consists of pictorially illustrated step-by-step online travel guides, with interactive Google maps. Our ongoing series of exclusive Real Deal interviews showcases some of the Hudson Valley’s most intriguing movers and shakers in real estate, art, interior design, landscaping and architecture. 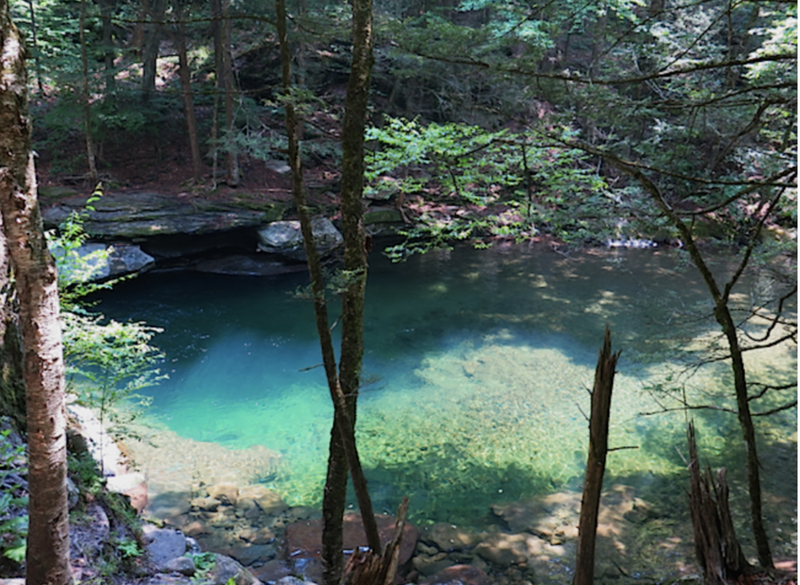 Life is Better in the Hudson Valley, so why not live like the locals when you’re here? That’s where our series of Live Like A Local guides comes in, highlighting top places to eat, drink, stay, and hike, ski and play. I've been working with Terry for more than three years, almost since the time I founded my brokerage in 2014. From day one, Terry and her Echo Sixty6 team have been instrumental in helping build my unique real estate brand and business. Echo Sixty6 has managed and significantly grown my online presence, even crafting an award-winning social media campaign following the 2016 election season. Echo Sixty6 has produced incredibly popular editorial content for our blog, as well as taken our new-listing posts to new levels. And, this year, Echo Sixty6 implemented a complete rebrand, with new taglines, a refreshed website, and all new marketing materials. Today, Halter Associates Realty is the fastest growing real estate firm in the area, and we couldn't have done it without E66 as part of our team!